The Persians were the first people in history to give men and women equal rights, abolish slavery and write the very first human and animal bill of rights. They also built in 400s BC the very first stadium, the Apadana in Persepolis (later burnt down by Alexander). The Apadana was able to seat 15 (fifteen thousand) people in it, with space left for a grand ceremony. This massive building was roofed. Unlike the Colosseum, the architectural and worth of this single building, if it lived through the fire Alexander put it through, would have dwarfed the city of Rome. Persian emperors of the 6th century BC are among the first to make a display of lavish floor coverings. Carpets become one of the characteristic art forms of people living on the high plateau of West Asia, from Turkey through Iran, where winters can be extremely cold. The Achaemenids built an efficient infrastructure of roads and ports. They bought water to remote areas throughout the empire through the use of qanats, (underground irrigation system). Darius the Great, had a canal built to link the Nile to the Red Sea (an early precursor of the Suez Canal). 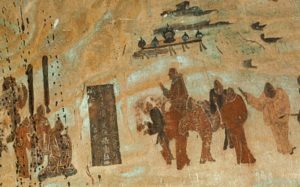 Unicorns were first mentioned in Western writing by the Greek physician – Ctesias, who worked as a court physician for King Darius II of Persia and later Artaxerxes II. He wrote a history of Persia, and also a book about India. The long rule of Darius I includes quite a lot of innovation. The genius of Darius lies in creating a workable structure for the empire. This depends on such details as a sustainable system of taxation; a communication network based on good roads and efficient message-carrying; a single language, Aramaic, used in government documents throughout the empire; and firm control in the armed forces. The Persian system of taxation is tailored to each satrapy (the area ruled by a satrap, or provincial governor). At differing times there are between 20 and 30 satrapies in the empire, and each is assessed according to its supposed productivity. It is the responsibility of the satrap to collect the due amount and to send it to the emperor, after deducting his expenses. According to the Shah-Namah of Ferdausi, the first caesarian operation (actually Persian-Birth) was done in Persia, some 5,000 years ago upon the birth of Rustom from his mother— Rudabeh. 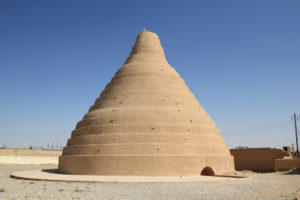 The first Beer-making techniques were discovered in Medeo-Persia, some 5-6, 000 years ago. The world’s first public postal system was invented in the Persian Empire some 3,000 years ago. Cuneiform is the earliest form of writing in the world. The cuneiform (wedge-shaped) was invented in what is known in History as the Medeo-Persia, some 5-600 years ago. 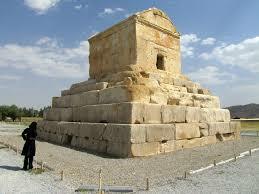 Cyrus was able to create a vast empire that would last for more than two hundred years. Embroidery was first invented by the Scythian people (a branch of Persians) Ref. The first travelers Inns called caravansaray (Inns of caravan) some of which still exist along the Silk Road, were built in Persia. The largest mud-brick structure is the citadel of Bam, in Kerman Province of Iran. King Cambyses II, of Persia, was the first person that examined the dead bodies of the mummies of Egypt, after conquering the Egyptian City of Memphis, in 600 B.C. 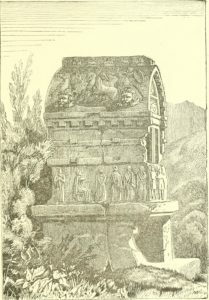 Aside from Zoroastrianism, the other religious and philosophical movements of Persia, include Mithraism (the Sun god), which was also adopted by the Romans; Manicheanism, which was later on adopted by the Christians in North Africa, and probably the first communist movement called Mazdakism (500 A.D.) Later on Sufism, Carmathism, Ismaili (Agha Khani), Babism, Bahaism, Akhbarism, Kasravism etc.